Please send me reminders for my pledge during the months circled below. Yes, my employer will make a matching gift to the BE the CAUSE Campaign. Return completed pledge form to AFP Foundation for Philanthropy, 4300 Wilson Boulevard, Suite 300, Arlington, VA 22203-4168; scan and email it to foundation@afpnet.org; or fax it to 703-683-0735. Please contact us at 800-666-3863 with any questions. 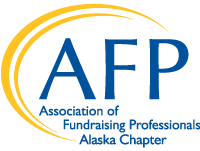 Thank you for supporting AFP Foundation for Philanthropy. Gifts to the Foundation are tax-deductible to the fullest extent of the law as no goods or services are provided in consideration of a gift (Tax ID #52-1241128). Under the direction of the Board of Directors, the AFP Foundation retains complete control over the use and distribution of donated funds in furtherance of its mission.